Preachy dialogues and a half-baked script pull the film down. 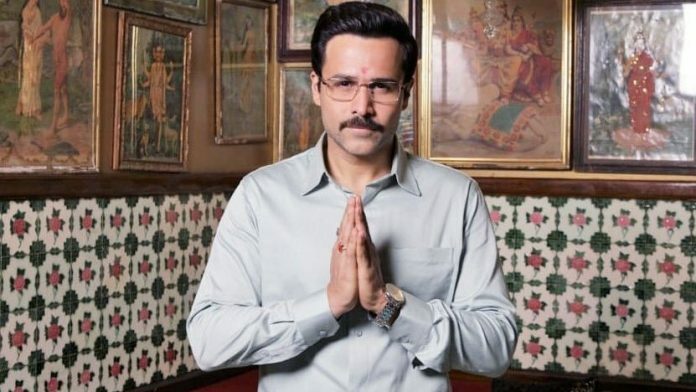 Emraan Hashmi-starrer Why Cheat India lives up to its name. Parental pressure to perform well in exams is an old plot in Bollywood, but Soumik Sen-directed movie adds the angle of education mafia to it. Why Cheat India’s premise is promising. It tries to show that it is difficult to take sides in the nakal vs akal fight when odds are stacked against you. We are introduced to Sattu, a 287 rank-holder in a national competitive exam, who has to arrange money for his sister’s dahej (dowry). Sattu is the quintessential Sharma ji’s son who has perfectly oiled hair, wears loose polo-shirts and can crack every engineering exam in the world. Snigdhadeep Chatterjee as Sattu is convincing but the character is given little scope to grow in the film. Emraan Hashmi as Rakesh Singh or Rocky quickly lures Sattu to be a proxy for rich kids in competitive exams. We have seen Hashmi’s conman act in Jannat movies, and in Why Cheat India he just sleepwalks through the role. It’s the same smug smile, and the same confidence to cheat. You don’t feel anything for his Rocky. The first half of the film packs in many middle class moments to establish Sattu’s background as a small town boy from Uttar Pradesh. His father has devoted his life to see Sattu become an engineer. In one brilliant scene, he tells his daughter to stir the health drink meant for Sattu extra hard so that no sediments are left at the bottom. Shreya Dhanwanthary as Sattu’s sister shows potential but is never given a chance to go beyond the rigid boundaries of the script. Set in 1998, the movie also stars an impressive range of now-vintage Nokia phones. If you look hard enough, you might even find the one you used in college. I tried doing it to prevent myself from dozing off in the theatre. The film picks up some pace in the second half, but it is not enough to keep you engaged. Preachy dialogues are in abundance, and most of them are delivered by Hashmi’s conman Rocky. Don’t judge yourself if you roll your eyes when a conman says ‘mujhe hero nahin banna’ or ‘paper leaks are bad for the nation’. The film tries hard to portray corruption in the education sector, but all it manages to show is a room full of cash with some angry politicians and their confused bodyguards. Mishkka Shekhawat’s screenplay falters at every step. The film stays away from naming anyone or even making oblique references to any particular episode of mass cheating in recent times. We don’t even get a fictional name for Sattu’s college and the national exam he clears. Although the film’s title did get mired in a controversy over its title, there is nothing controversial in this movie. Like any Emraan Hashmi movie, Why Cheat India too has good music, thanks to Pritam. But, that’s about it. The editing feels choppy with no flow between two events and the script barely lending a helping hand. This is Emraan Hashmi’s first film as a co-producer and if you are someone who loved him in Shanghai, you will be disappointed with him here. By the end of the movie, the only question we are left asking is: why cheat us into watching this film.